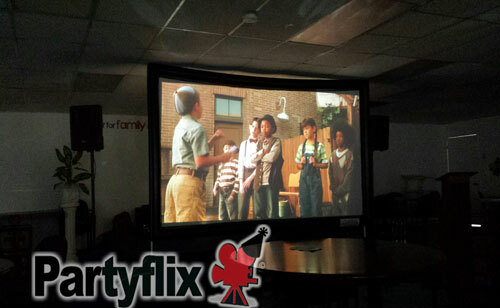 Movie screen rentals: 9ft to 30ft! 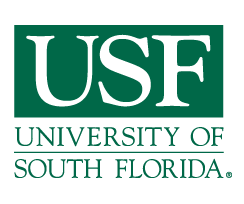 We offer BIG movie screen rentals in Florida: South Florida , West Palm Beach , Orlando and Kissimmee, Tampa , Naples & Fort Myers and Jacksonville. 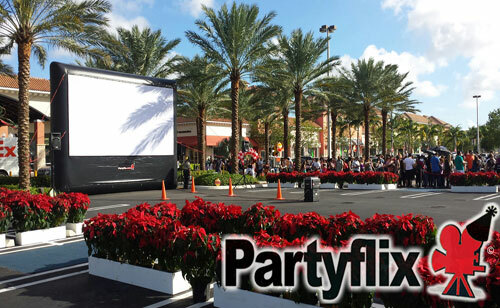 And now Partyflix is on the move! 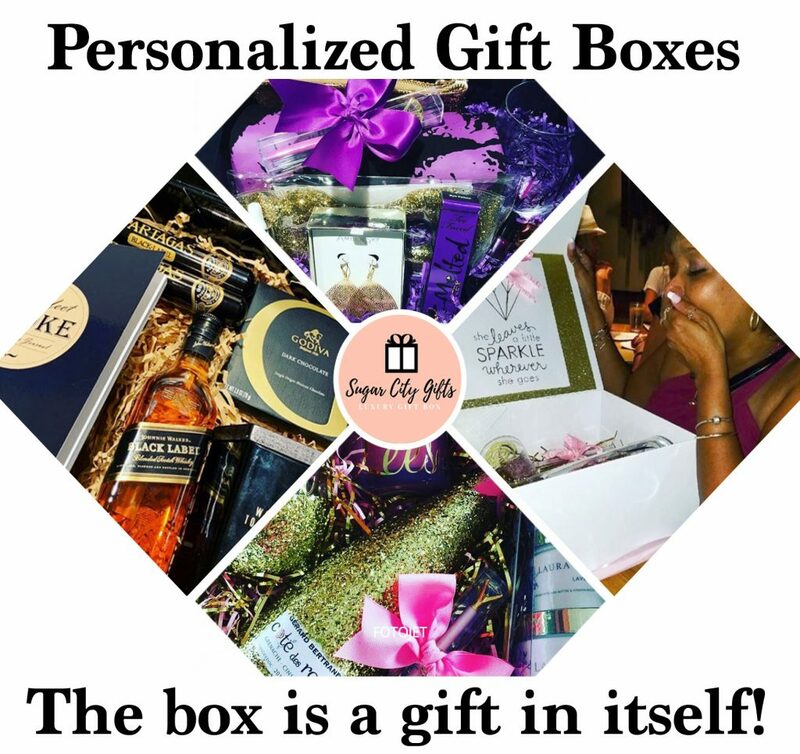 We also offer service in these fantastic cities: Charlotte, North Carolina , Atlanta, Georgia, San Antonio/Austin, Texas, Houston, Texas, Dallas, Texas and New Orleans, Louisiana. 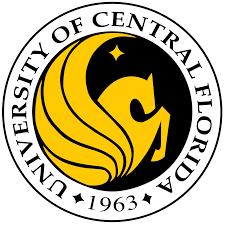 We also service the following counties in Central Florida: Orange, Osceloa, Seminole, Brevard, Volusia, Hillsborough, Polk, Marion, Alachua and Indian River. 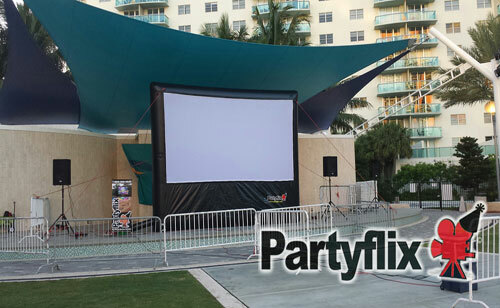 Welcome to Partyflix BIG movie screen rentals and sales! 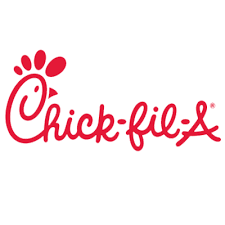 Thank you for your interest in our business. 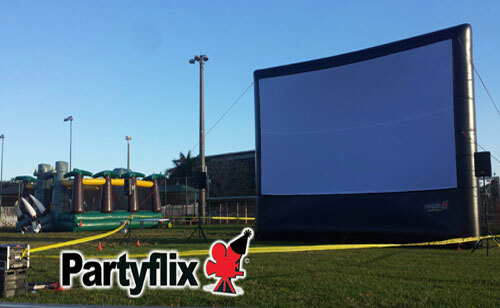 Partyflix®, big movie screen rentals, is here to give your guests, great family fun at your home, church, school or business.. During your next event, treat your family and guests to a movie or sports event.. Partyflix® will set up one of our big movie screens at the location of choice and project the movie of your choosing (DVD or BluRay). We also can run of other devices such as: IPad, tablets, PC and Macbook. 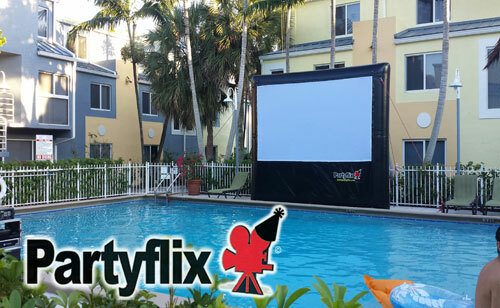 Each of our movie screen rentals: include: the inflatable screen of your choosing, a commercial grade projector and a premium sound system that will keep your guests happy from beginning to end. 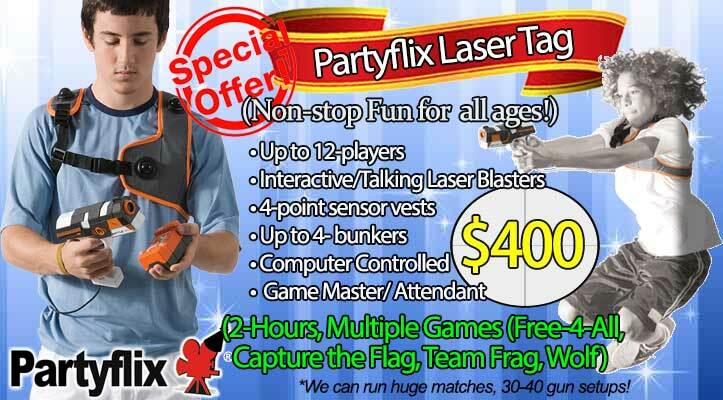 At Partyflix®, we pride ourselves our timely service and great customer service. We are licensed and fully insured. 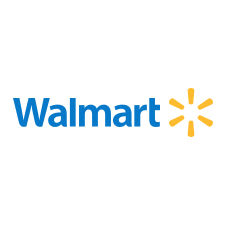 Please check our testimonials page to see a list of our happy customers. If you’d like to know more about our movie screen rentals, services and products, please contact us today and we’ll be happy to answer any of your questions. • No deposits. You pay prior to setup. If your event is impacted by rain or inclement weather, you can reschedule without any penalty. • Our prices include: delivery, setup, and tear-down. An attendant is included in most setups. • We started this family business in 2010, since we’ve handled over 2500+ gigs. 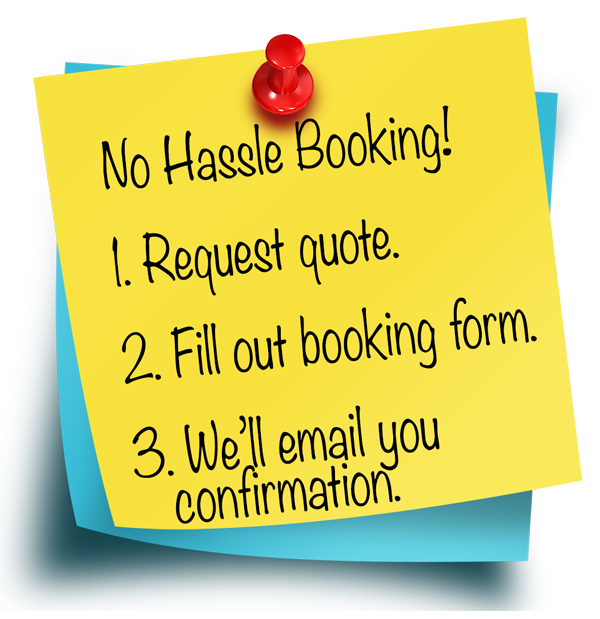 • We are accessible, unlike other companies who leave you in limbo when you have questions. Call 1-855-305-3549 (FLIX) and you’ll be talking to someone who will be handling your event or involved in the direct planning of it. • We are honest. We measure our screens on the diagonal of the white space/viewing surface not the total diagonal of the frame like our competition. 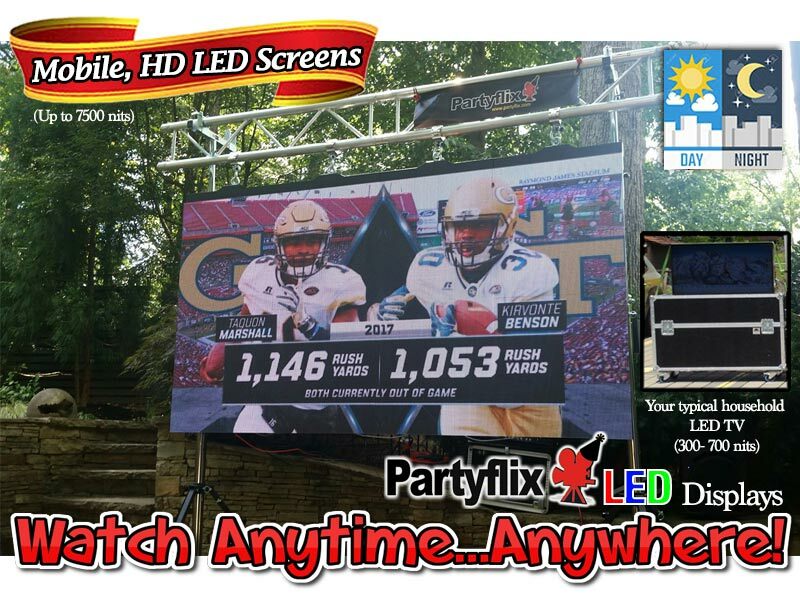 Example: Our Main Event Screen has an 18ft viewing surface, but its frame size is 23ft diagonal. Thank you so much for your kind email. 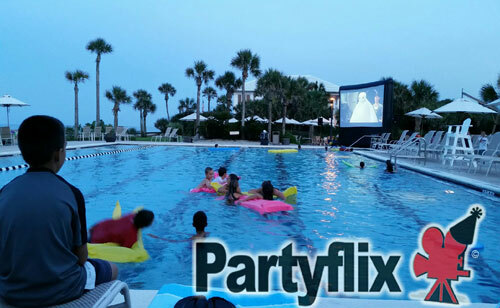 We would absolutely recommend PartyFlix to anyone! 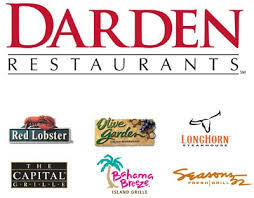 Overall great service, and our residents all really enjoyed it. 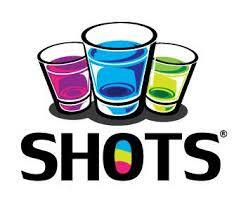 We will also be referring our sister properties to you as well as working with you again in the near future. 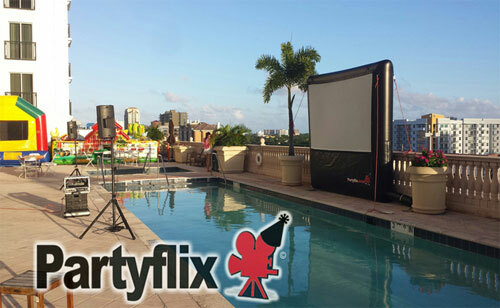 We were thrilled to find Partyflix to provide a screen, projector and technician for our recent meeting at the Trump International Beach Resort in Sunny Isles Beach! They were extremely responsive to our needs, worked closely to assure a successful audiovisual presentation and remained onsite to trouble-shoot, just in case. 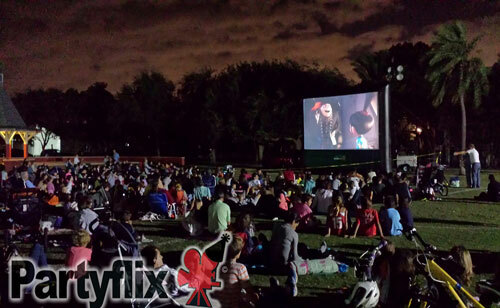 We have already recommended Partyflix to a number of our Aventura Marketing Council/Chamber of Commerce members, and look forward to working with them again. Thank you PARTYFLIX! Everything was perfect! The men who came to set up were professional and kind. We will recommend and use you all in the future! Watch our LED Screen in action! 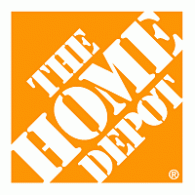 • Upgrade to a 14ft movie screen for $60 and an 18ft for $100. Our low cost, high quality photo booth rental packages include touch screens, dye sub (smear and smudge free) prints and uploads to your favorite social media sites: Facebook and Twitter. You can also send your photos to SMS and email! Check out our Photo Booth Rental Packages.